From its bold styling and connected cabin to its driver-assistive safety features and impressive performance specifications, the 2019 Chevrolet Tahoe is the new car for sale that you've been waiting for. Meet this full-size SUV lineup in Fort Worth, Texas, today, head to Bruce Lowrie Chevrolet for a customized shopping experience. Experience the 8-inch Driver Information Center and available Head-Up Display for yourself, use our Bruce Lowrie Chevrolet website to shop the 2019 Tahoe family now! Enjoy on-road peace of mind behind the wheel of a 2019 Chevy Tahoe SUV, as this full-size vehicle is available with a number of driver-assistive safety features. Contact our new and used Chevy dealership that serves Arlington, TX drivers to hear about the Adaptive Cruise Control - Advanced, Forward Collision Alert and Safety Alert Seat this model offers, as well as the Low Speed Forward Automatic Braking that is available! To ensure all our new car shoppers can explore competitive loan options, we boast an on-site finance center. Visit us today or complete one of our secure credit applications from the comfort of your home. If you're looking for a vehicle that helps you stand out from the crowd with a horsepower rating of 355 and 383 pound-feet of torque, head to our Chevy dealer near Arlington, Texas, to test drive the 2019 Chevrolet Tahoe. The sales department staff member accompanying you on your test drive can review the specs of the 5.3-liter V8 engine and can introduce you to the Max Trailering Package that lets you tow up to 8,600 pounds! Ready to get behind the wheel? 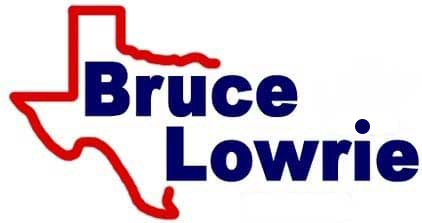 Give our team a call or use our interactive Bruce Lowrie Chevrolet website to book a test drive now! Our new and used Chevrolet dealership in Fort Worth, TX looks forward to introducing you to the 2019 Tahoe SUV that complements your needs. Team up with us for the professional, stress-free shopping, trade-in and financing process that you deserve!